Deep fryer is one of the most important hot cooking ranges that are available in any commercial kitchen. But, it is very important that you must consider the some factors to choose the right deep fryer. It’s obvious that nowadays people love to eat fried food and thus, it is certainly not possible that without fryers you won’t able to provide tasty food to your customers. The delicious fried food which is common among people are- French fries, onion rings, fried pickles. So, it is important that you must buy commercial fryer from any trust worthy Kitchen equipment manufacturers. Thus, every person out there is very eager to gulp those yummy fried foods in any restaurant. So, to get those happy faces of your customers it is important that you must offer those tasty fried foods which they can’t have in their home. you know the size of the fryer. There are so many numbers of items in your kitchen which could be hazardous if the boiling oil gets on those items from the Kitchen place. Thus, make sure that the size should not become bigger and all the items should be kept safely. 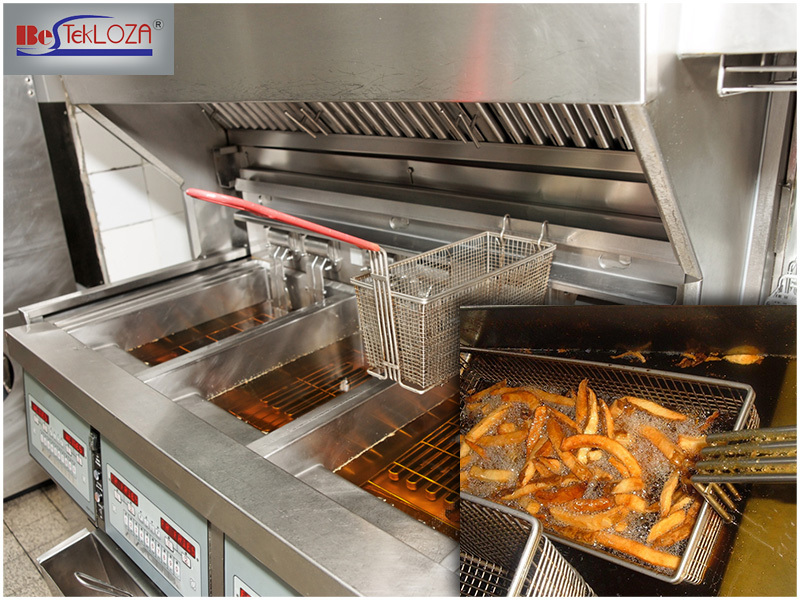 Cost – The cost of the fryer depends on its size and functions. If you buy a large size fryer then obviously it will affect the price. But make sure that you only buy a big one if you have a lot of fry items in your menu as otherwise, a small one can do your job. Open pot fryers cost less than tube fryers. Fuel Type – To get the oil heated and other functionality you can use either gas or electricity type commercial fryers. This is a very obvious problem for most of the people and especially they will find a big problem when they are about to replace their old fuel based fryer to a new one. So, if you are buying it for the first time or going to replace one then it is better to opt for gas fryers instead of electric ones as the gas ones will cost you less. Uses – One of the most important thing which you need to look is the usage. Make sure that you must know the purpose of your buying a fryer considering your menu. You can opt for pot fryer if you need to fry less but it is advisable to opt for tube ones if your motive is to fry meat or fish.